Dale Powers sent along this classic photo. Here is an old picture I found in some photos that were shot by a dear friend and huge fan of Drum Corps International, Ed Ferguson. 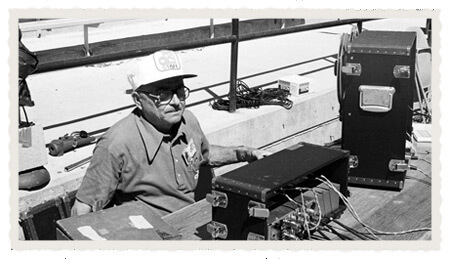 It's of the recording engineer at the DCI Championships in 1978. I'm not sure who he is, but thought you might be interested in this. Notice the reel to reel recording deck.